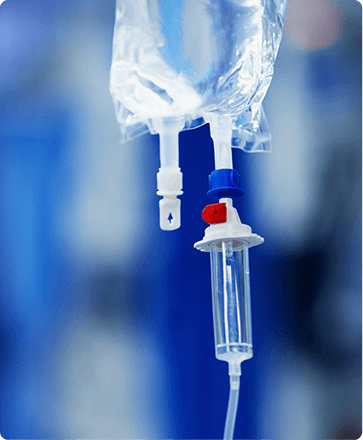 Ketamine infusions are a sophisticated form of treatment for certain acute (sudden) and chronic (long-term) pain conditions. Ketamine infusions offer certain benefits over medication alone, including a reduction in the use of opioids. Ketamine infusion treatments have also been shown to be effective in reducing and controlling certain kinds of pain that other treatments have not. Ketamine infusions can be used alone or in combination with other medications to better manage pain. Studies have shown that Ketamine infusions reduce both the severity and quality of widespread body pain, such as fibromyalgia, migraines, and complex regional pain syndrome (CRPS). If you or a loved one is seeking relief from chronic pain, we can help. We provide comprehensive, effective pain management for a happier, and healthier life. For more information about the pain management treatments we offer or to schedule a consultation with one of our pain management doctors, please call Chicagoland Pain Management Institute in Bolingbrook, IL at (630) 312-4505 or in Hinsdale, IL at (630) 856-6825 or use our convenient online appointment request form.